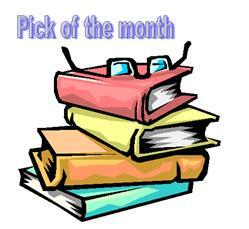 It is an invitation to you to write your own summary post for August 2015, identify your crime fiction best read of the month, and add your post's URL to the Mr Linky below. A mother and her teenage daughter are found murdered in a remote farmhouse, one defiled by multiple stab wounds and the other left lying like Sleeping Beauty waiting for her Prince. Reluctantly, clinical psychologist Joe O'Loughlin is drawn into the investigation when a former student, calling himself 'the Mindhunter', jeopardises the police inquiry by leaking details to the media and stirring up public anger. With no shortage of suspects and tempers beginning to fray, Joe discover links between these murders and a series of brutal attacks where his victims have been choked unconscious and had the letter 'A' carved into their foreheads. As the case becomes ever more complex, nothing is quite what it seems and soon Joe's fate, and that of those closest to him, become intertwined with a merciless, unpredictable killer . . . Fans of Michael Robotham have been waiting anxiously for the return of Joe O'Loughlin and I don't think they will be disappointed. 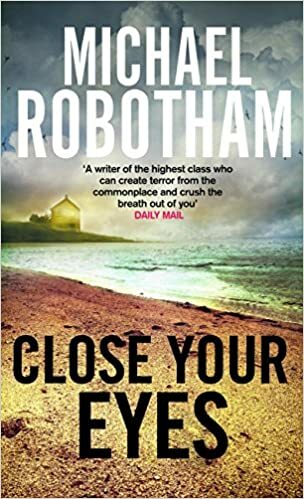 Robotham has become an expert in complex plots and with getting inside the minds of both perpetrators and victims. The structure of the book is interesting - the plot is narrated mainly through the eyes of Joe, but there are some large sections, italicised, from the point of view of the perpetrator. At first the reader does not know who this person is, and then you find yourself listing and discounting suspects. I have to admit that I didn't guess correctly even though there were plenty of clues. Joe is still fighting Parkinsons and his daughters are growing. Charlie has finished school and ready for university, but what course has she chosen and where? DI Vincent Ruiz is near retirement age and is known in the force as a bit of a loose cannon. He is head of London's Serious Crimes Group. He has a fixation on a missing child case theoretically solved three years earlier. Although a body was never found, someone has been convicted of Mickey's murder. Ruiz is convinced they got it wrong, that the child is still alive. Ruiz is fished out of the Thames, more dead than alive, a dreadful bullet wound in his leg, the top joint of one of his fingers missing, and amnesia. He has no idea what happened. In a sense this is a sequel to Robotham's first novel SUSPECT, with the same two main characters, Ruiz and psychologist Joe O'Loughlin. Whereas SUSPECT focussed on O'Loughlin's predicament, LOST focusses on Ruiz. LOST won the 2005 Ned Kelly Award for best mystery by an Australian author. Over three years ago, a civil servant vanished after returning from a work trip to Africa. Missing, presumed dead, the man's family still want answers. Fifteen-year-old Marco Jameson is tough, smart and very suspicious of police. Sleeping rough and hiding in the shadows is his way of life. But what does he know worth killing for - and will the police find him before whoever he is running from? 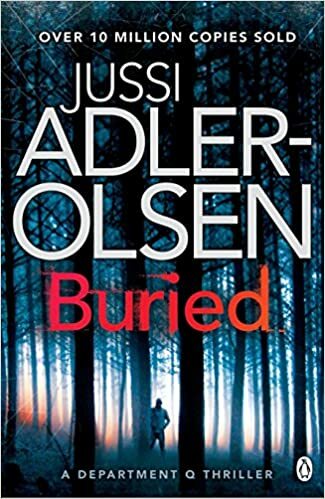 This novel raises a number of interesting modern issues including corruption and fraud among agencies delivering international aid to third world countries; organised crime in cities like Copenhagen targetting tourists; and the relationship in police departments between those who deal with current and cold cases. In BURIED current cases and unsolved crimes overlap, and there are those who think Department Q is over-resourced and needs watching. The staff of Department Q are certainly odd, at times presenting an impression of dysfunctionality, but their talents are varied and they each have their own areas of expertise and complement each other well. Carl Morck tries desperately to keep them under control. 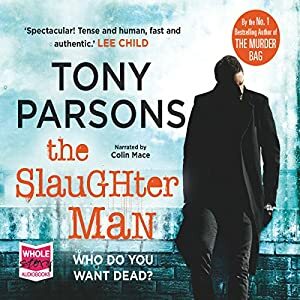 The murder weapon is a gun for stunning cattle, leading Detective Max Wolfe to a dusty corner of Scotland Yard’s Black Museum devoted to a killer who thirty years ago was known as the Slaughter Man. But the Slaughter Man is now old and dying. Can he really be back in the game? As with the earlier title in this series, THE MURDER BAG, the narration in this novel is superbly done. The story is a little more gruesome and violent than the action in the earlier title. 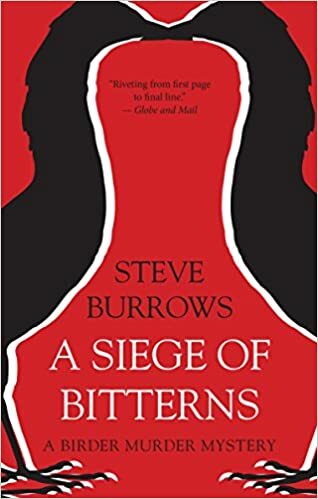 If you decide you want to read this one, I think it is worth recognising that it is part of a series, and reading THE MURDER BAG first, simply because of the character development of Max Wolfe and the team he belongs to, and of his relationship with his young daughter Scout. Both novels emphasise how tough modern policing in London can be. The gruesome murder of the wealthy family connects with an old case and doubt is cast on whether the Slaughter Man actually committed the murders for which he has served time. The ex-con is now living with a group of "travellers" who have little respect for the police and things turn very nasty. Tony Parsons is a writer worth following. Anyone can see the place where the children died. You take the Princes Highway past Geelong, and keep going west in the direction of Colac. Late in August 2006, soon after I had watched a magistrate commit Robert Farquharson to stand trial before a jury on three charges of murder, I headed out that way on a Sunday morning, across the great volcanic plain. I have been aware of Helen Garner as a writer for many years, but not actually read anything by her during the life of this blog. While you may not see it as much of a movement to go from crime fiction to true crime, reading this book was part of my attempt to read a little more widely than usual. Ten months after his car left the main road and veered into a dam, drowning his three young sons, Robert Farquharson was committed for trial on three counts of murder. A year passed between the committal hearing and the trial. Farquharson spent that time on bail, a free man. Helen Garner and a close friend's daughter, a sixteen year old taking a gap year, squeezed into the press seats with the journalists. The trial would take over five months and Garner was there every day. She takes the reader through the highs and lows of the court room, the mind-numbingness of evidence and expert opinions, and shows us clearly how difficult it is to get to the truth. Her account is detailed, but at the same time she struggles to keep an open mind, and we watch as she swings like a pendulum. By the time the jury goes out to consider its verdict we still don't know which way they will jump. Garner takes us further than the original trial, into the second trial after the verdict of the first is declared invalid. She shows us clearly the effects not only on Farquharson, but on his former wife, and on the family and friends. There is nothing dry about this book. It reads as well as any crime fiction. Garner pays a lot of attention to character study, and she also tells us how what she is witnessing affects her personally. From the Pulitzer Prize-winning author of PEOPLE OF THE BOOK, YEAR OF WONDERS and MARCH comes a unique and vivid novel that retells the story of King David's extraordinary rise to power and fall from grace. 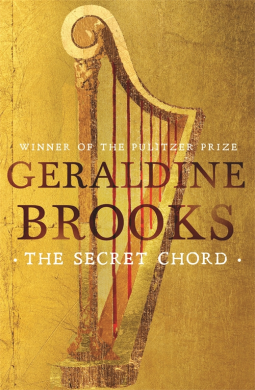 With stunning originality, acclaimed author Geraldine Brooks offers us a compelling portrait of a morally complex hero from this strange age - part legend, part history. Full of drama and richly drawn detail, THE SECRET CHORD is a vivid story of faith, family, desire and power that brings David magnificently alive. Note - this book is not crime fiction, although without doubt crimes are committed. Reading it is part of my quest to widen what I read: to go beyond crime fiction. I have already read the Pulitzer Prize winning PEOPLE OF THE BOOK by the same author. When I was a child I had a jigsaw puzzle that showed a young, handsome David slaying Goliath of Gath with his slingshot. That image of David, son of Jesse of Bethlehem, ancestor of Jesus Christ and the reason why he was born in Bethlehem, has stayed with me for well over 60 years. But the picture of David in THE SECRET CHORD is a long way from the sanitised image of my jigsaw puzzle. The description and account of David in THE SECRET CHORD is seen through the eyes of Natan, David's courtier who at times has prophesied events in David's life, and been at his side for decades. David has commissioned Natan to interview his mother and other family members to learn about the early events of David's life. The king will decide how much of what Natan writes down will be revealed. Natan is well aware that he is treading a dangerous line: the king is volatile and could well turn against him, and his family are not going to be willing to reveal deep secrets willingly. Eventually we learn David's life history, taking us right through to the declaration of his heir. According to the author "David is the first man in literature whose story is told in detail from early childhood to extreme old age." I was staggered at how violent his life was, how much time was spent in waging war, and how his family almost self-combusted. Australian-born Geraldine Brooks is an author and journalist who grew up in Sydney's western suburbs. In 1982 she won a scholarship to the journalism master's program at Columbia University in New York. Later she worked for the WALL STREET JOURNAL, where she covered crises in the Middle East, Africa and the Balkans. In 2006 she was awarded the Pulitzer Prize in fiction for her novel MARCH. 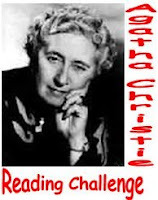 Her novels CALEB'S CROSSING and PEOPLE OF THE BOOK were both NEW YORK TIMES bestsellers, and YEAR OF WONDERS and PEOPLE OF THE BOOK are international bestsellers, translated into more than 25 languages. She is also the author of the acclaimed non-fiction works NINE PARTS OF DESIRE and FOREIGN CORRESPONDENCE. In 2011 she presented Australia's prestigious Boyer Lectures, later published as THE IDEA OF HOME. Geraldine Brooks lives in Massachusetts with her husband, author Tony Horwitz, and their two sons. Right now I have far more books listed than I have any hope of coping with. On my blog this list is always stored in the right hand margin. I'm not really sure how it grows. It’s the middle of a long hot summer on the French Mediterranean shore. The town is full of tourists and at the Perpignan police headquarters, Sebag and Molino, two tired cops who are being slowly devoured by dull routine and family worries, deal with the day’s misdemeanors and petty complaints without a trace of enthusiasm. But out of the blue a young Dutch woman is brutally murdered on a beach at Argelès, and another disappears without a trace in the alleys of the city. A serial killer obsessed with Dutch women? Maybe. The media goes wild. Gilles Sebag finds himself thrust into the middle of a diabolical game. If he intends to salvage anything, he will have to put aside his domestic cares, forget his suspicions about his wife’s faithfulness, ignore his heart murmur, and get over his existential angst. He waits joylessly, patiently, and lets himself go. The stone house may end up being his grave. Who’s doing what, who’s chasing who? The setting of the novel is Perpignan, in the Catalan region of France, near the Spanish border, where the author himself now lives. It is the height of summer; many including Gilles Sebag's own family are on holiday, and tourists from the north are flooding into the district. Years of police work have left both Sebag and his partner Molino jaded and they have a reputation of being hard to motivate. Sebag does his best to work an "ordinary" working day but as his children and his wife leave for their summer holidays and he becomes an "empty-nester" he begins to think of nothing else but the cases he is working on: primarily the disappearance of a local taxi driver and his final passenger, a Dutch tourist. An engrossing read. Does the town now have a serial killer or are the three cases on the books all separate events? Read another review on Reactions to Reading. Born in 1962, Philippe Georget is a TV news anchorman for France-3, but he is an equally successful crime writer. 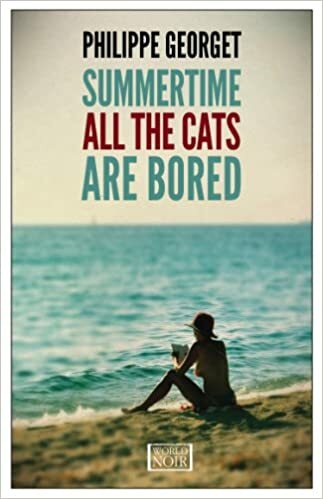 His debut novel, Summertime All the Cats are Bored (2013), won the SNCF Crime Fiction Prize and the City of Lens First Crime Novel Prize. His second novel is AUTUMN, ALL THE CATS RETURN. Yesterday I posted my 1,000th review on this blog since I began at the start of 2008. The titles are almost all crime fiction, largely British, Australian, American, and translated titles. 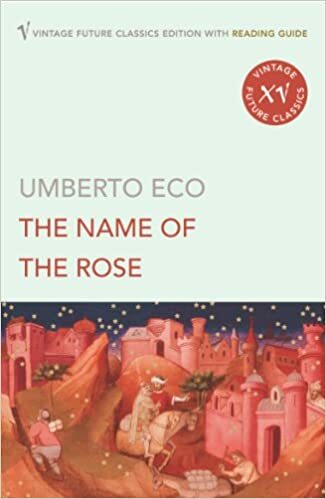 Eco, an Italian philosopher and best-selling novelist, is a great polymathic fabulist in the tradition of Swift, Voltaire, Joyce, and Borges. The Name of the Rose, which sold 50 million copies worldwide, is an experimental medieval whodunit set in a monastic library. In 1327, Brother William of Baskerville arrives to investigate heresy among the monks in an Italian abbey; a series of bizarre murders overshadows the mission. Within the mystery is a tale of books, librarians, patrons, censorship, and the search for truth in a period of tension between the Papacy and the Holy Roman Empire. The book became a hit despite some obscure passages and allusions. The year is 1327. Franciscans in a wealthy Italian abbey are suspected of heresy, and Brother William of Baskerville arrives to investigate.When his delicate mission is suddenly overshadowed by seven bizarre deaths, Brother William turns detective. 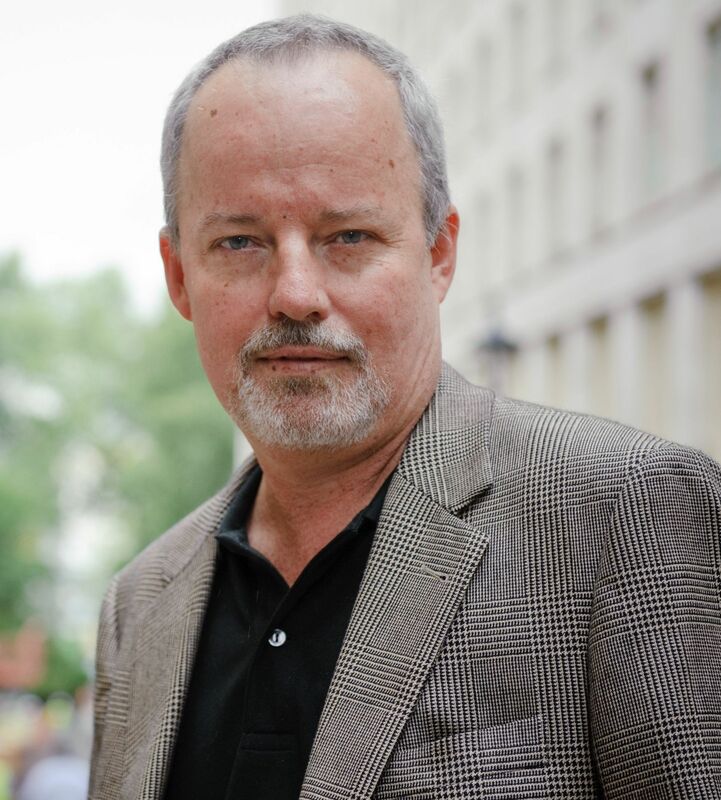 He collects evidence, deciphers secret symbols and coded manuscripts, and digs into the eerie labyrinth of the abbey where extraordinary things are happening under the cover of night. A spectacular popular and critical success, The Name of the Rose is not only a narrative of a murder investigation but an astonishing chronicle of the Middle Ages. I chose this book as my contribution to the Past Offences meme, Crime Fiction of the Year 1980, primarily because I had often meant to tackle it. To say I was disappointed is an understatement. I originally got a copy from my local library, but the text was so small it was off-putting, so I eventually bought a copy for my Kindle: thankfully fairly cheap. If you'd like a more comprehensive review of this book than what follows, try the one at Past Offences. There are eventually seven deaths at this Italian abbey but they come very slowly, amid an absolute plethora of lengthy Latin quotations that I had little hope of translating and swathes of medieval ecclesiatical debate about such riveting topics as whether Jesus ever laughed, or whether the Devil ever does any good. The crimes centre around the labyrnthine library for which the abbey is known. 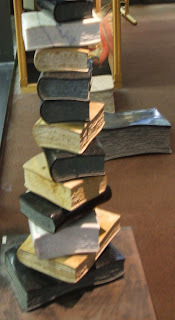 The main function of the abbey is the copying of books and the preservation of "knowledge", often through external commissions. Many of books are secular rather than religious. Access to the library and the books is very restricted and Brother William finds his investigations blocked at every turn by the librarian and even at times by the Abbott. In addition to the theological arguments the structure of the book is clogged with stories that seem to have little to do with the murder investigation that Brother William is undertaking. The narrator is Brother William's assistant Adso, who is a novice. He doesn't always seem to get the point of the convoluted explanations that William gives him, and there are other times when he goes off on a tangent on his own investigation. The state of the church and the struggle between the Pope and Holy Roman Emperor is described in some detail. So while it is probably good material for the medieval historian, it is not really engaging crime fiction. I am sorry to report that in the long run this was a DNF for me. According to the counter on my Kindle I had read 50%, and had four hours to go. I had a hard time not getting frustrated with the amount of time it was taking, particularly considering its length. The pseudo academic flavour of the style slowed my reading down intolerably. And then eventually I admitted that I had no interest in continuing. Perhaps there was a good story there among all the words, but I was no longer interested in working it out. We did well with the July Carnival with 11 participants and real variety in the contributions. 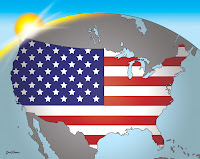 The ACRC for August is now open. Many thanks to the blog reader who recommended this title, the winner of the 2015 Arthur Ellis award for best first novel. Although this is the debut novel in a series, it tries to give the impression that it isn't: there is some history about why Domenic Jejeune has accepted this appointment in the marshlands of North Norfolk. The story is hinted at, never fully revealed in one place. And the reader's curiosity is piqued on two levels: Jejeune is Canadian, so what is he doing in the British police force? And the author is Canadian - what is he doing setting his novel in England? And then there is the character of Jejeune himself. We are told he has risen rapidly through the ranks, that he is a clever detective. But we are also told by Jejeune himself that it is case of what he is good at rather than a case of what he enjoys doing. He hates the need to be meticulous, to dot the i's and cross the t's. He would much rather be bird watching. And then that brings us to the plot and the setting: the heart of bird watching in Britain, the competition between bird watchers to be the best there is, to record the biggest personal totals. Can any of this possibly be related to the hanging of an outspoken ecological activist or is the perpetrator much closer to home? I have concluded that this is certainly an author worth following. The plot of A SIEGE OF BITTERNS was satisfyingly complex, full of twists and turns, as well as red herrings. Steve Burrows has pursued his birdwatching hobby on five continents. He is a former editor of the Hong Kong Bird Watching Society Magazine and a contributing field editor for Asian Geographic. Steve now lives in Oshawa, Ontario. I had a really good reading month, with some excellent titles to recommend. See what others have read in July. A banking scandal has filled the city with violent protests, and a young homeless man burns to death after being caught between rioters and the police. But all is not as it seems; an opportunistic killer is using the chaos to exact revenge. 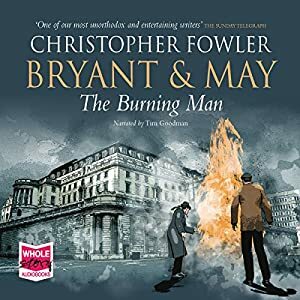 Arthur Bryant and John May soon find their investigation taking an apocalyptic turn as the case comes to involve the history of mob rule, corruption, punishment, and the legend of Guy Fawkes. To say I'm hooked on this series, and in particular the audio versions, is probably an understatement, although I haven't read them all. I love Tim Goodman's narration and I love the antiquarian details of London that the author blends into the story. And the aged detective duo, Bryant and May are getting older. Arthur Bryant in particular is showing serious signs of wear and tear, even perhaps Alzheimer's, and it seems his working days may end soon. But it is his background knowledge that pieces together the puzzle of the deaths by fire that are happening in London. As always the Peculier Crimes Unit is under threat by those wanting to make economic revisions, and Arthur's oddities seem to be damaging its reputation. Just engrossing! A series worthy of your attention, particularly if you are interested in London and its history. It is an invitation to you to write your own summary post for July 2015, identify your crime fiction best read of the month, and add your post's URL to the Mr Linky below.